A personal loan is an instant loan provided by the lenders for a short period of time. The process is simple and speedy compared to the traditional bank loans. Approaching a bank for a personal loan means lengthy paperwork and multiple visits to the bank. You can take a personal loan online to eliminate all the hassle. These loans are short term loans. As these are unsecured loans you don’t have to showcase any asset ownership. 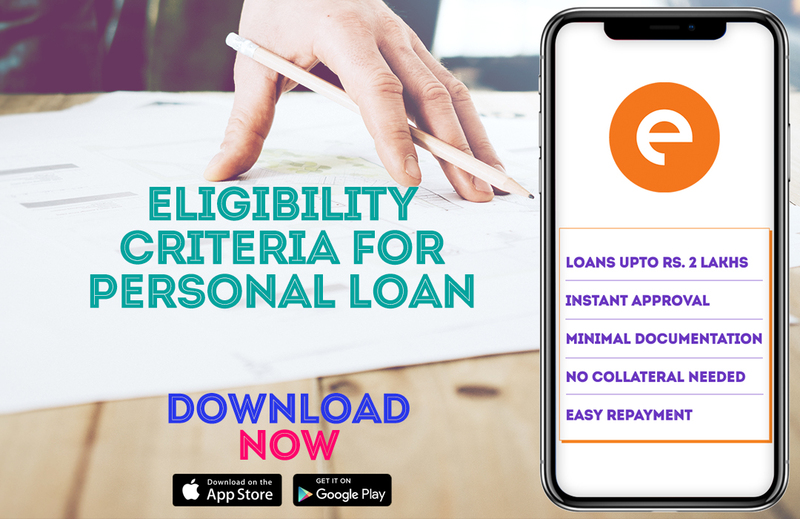 The application process is user-friendly when it comes to instant loan app. Download the desired app from the Google play store or Apple app store. Make your profile on the app by entering your basic information. The app will then ask you to enter the loan amount and the duration of the loan. You can take a personal loan online from ₹20,000 to ₹1 to 2 lakhs. 15, 30 or 90 days is usually the term of the loan. You need to upload your identity, address and income proof documents from your smartphone. You can submit your passport, driver’s license, aadhar card or pan card as identity proof. Your passport or utility bills or rental agreement will serve as your address proof. For income proof, you need to submit your bank statement and salary slips of last 3 to 6 months. Once you submit all the documents the app will then review your request. Once the loan is approved, the instant loan app transfers the money into your personal savings account. Almost everyone is eligible to apply for a personal loan. You need to be a salaried employee of a registered company. Even business owners can take a personal loan online. The documents required are your business ownership proof, utility bills of the office address and your business profit and loss statement. In both the cases, salaried employee and business owner, you need to be between 23 years to 58 years old. You have to be a resident of India. Once you register on the instant loan app, you can immediately check your loan eligibility. The loan amount eligibility depends on your monthly income. The minimum net monthly income required to avail a personal loan is ₹15,000. On the due date of the loan, the app will send you alerts so that you don’t miss the date. You can repay the personal loan online by bank transfer or by depositing a cheque. The quick loan app will not debit the loan amount automatically from your account. The bank statement access shared by you will have see-only authorization.